Holistic awareness is a choice and a way of life. It is living in the present moment that allows connection to and awareness of our body, mind, emotions, our energy field and its flow, our spirit, and our environment. Holistic awareness is a way to feel vital and alive, free and limitless, and to find contentment. Awareness is not a mental activity, yet we enjoy better perception because of it. We relish a greater ability to use information that comes through our senses of touch, smell, sight, sound, and taste. Holistic awareness allows us to communicate with our body and sense into it. It also provides a way for us to sense into our relationships and our living and work environments. Heightened awareness enriches our self-understanding and opens communication with our inner-being and Creation. As children, most of us are not taught how to stay in touch with our own body and our own inner nature. We are born with a strong connection to ourselves and the Divine. We have present moment holistic awareness and instinctively know when we are hungry, sleepy, when our diaper needs changing, our clothing is uncomfortable, or we are too hot or too cold. We sense who loves us, and we develop connections that include feelings of trust. However, our culture expects us to learn certain things, and most of them lead us away from our most precious gifts. As babies and young children, we are urged to wait a minute or deny urgent needs. We are asked to repress our hunger until a certain time, to sit still when we need to move, eat when we are not hungry, or sleep when we are not tired. Some of us have been urged to accept someone who frightens us. Because our instincts are not honored on a regular basis, we learn not to trust them and learn to live in our heads and from our thoughts. A growing holistic awareness is essential to our well-being, and it is the key to our personal growth and physical and emotional healing. It is how we learn to connect to our own inner nature and the universal wisdom that makes everything possible. As adults, we have to overcome our lifelong conditioning and relearn to trust the messages that constantly come from our body and environment. We even have to relearn to trust our own intuition and the whispers that come from Source. The moment our holistic journey begins, we change the way we perceive ourselves, life, and our world. As our awareness blossoms, we slowly begin to notice the once hidden parts of our inner being, the realities and challenges of mother nature, and the functionality of our communities. The journey provides opportunities for us to know and understand our beliefs, our emotions, our memories, and asks the most fundamental complex question: Why am I here now, with this family, this job, with these life issues, with this body, and with the health issues that plague my life or the life of someone I love? Many of us choose holistic awareness and want to begin a spiritual journey but don’t know how to get started. The moment you choose a spiritual journey, you are on it. We can seek answers from organized groups of like-minded people, work with a mindfulness coach, or a spiritual teacher to help us move forward. When we are ready, the teacher appears. Become aware that you are becoming aware; learn to be a witness to your own actions and thoughts. Self-evaluate without judgment or criticism. Allow your perception to expand. Realize that your limitations are self-imposed. In reality, you are limitless and free with choices and the ability to change your life. Allow your mind to become peaceful, quiet, still, and unencumbered through meditation, spending time with nature, or sitting in silent contemplation. The result will be a reality-based communication and an increased sense of belonging. Do you believe that you were born with innate wisdom, natural intuition, and lifesaving instincts? How do you learn, gather self-knowledge, and self-understanding? How can you help your children or grandchildren trust their body and their natural instincts and intuition? Do you trust your own body? Have you ever received messages from your body regarding your health and well-being? If so, did you take the appropriate action? Revolutionize Your Health was released into the world to find its readers on January 22, 2019. Co-authored with Cornelia Merk, this book is a 7-year labor of love. It was written with purpose and one primary objective: to help all of us raise our holistic awareness and our belief that healing is possible for anyone regardless of diagnosis and the progression of a disease. The book is filled with real-life stories that illustrate that miracles do happen, even when you’ve been given 20 minutes to live. 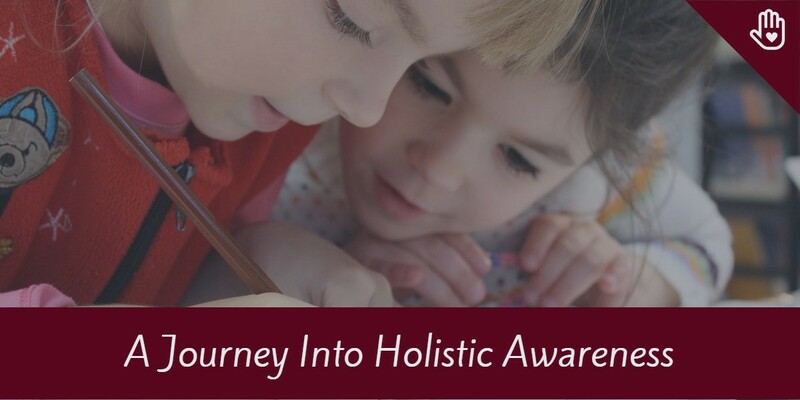 Holistic awareness is primary in developing, maintaining, or regaining your ability to heal! Praise for Revolutionize Your Health from Two Amazing Professionals in the Field of Integrative Medicine. ~ Kathi J. Kemper, MD, MPH, author of Mentally Health Naturally, Professor, Pediatrics and Nursing, The Ohio State University, Editor-in-Chief, Complementary Therapies in Medicine.